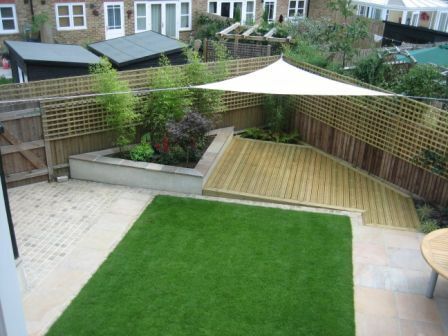 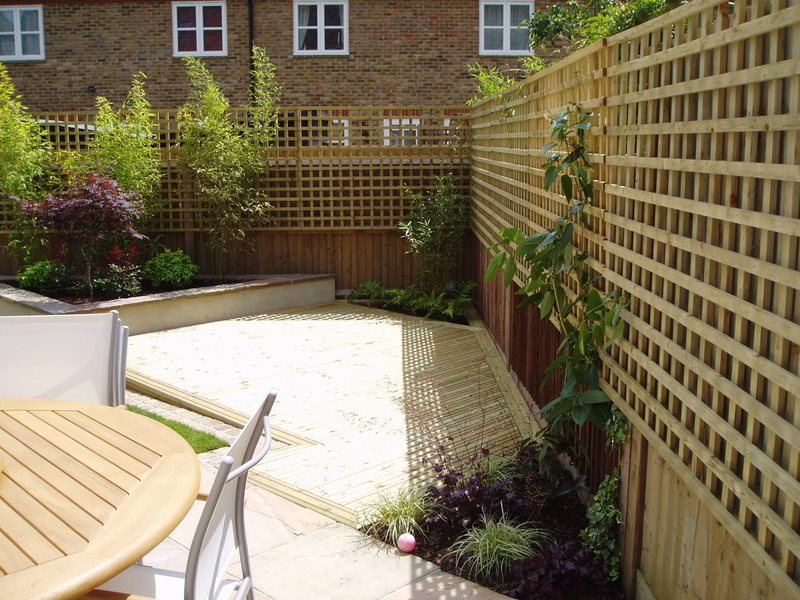 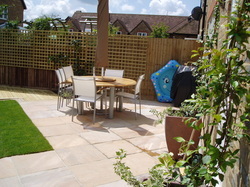 To create a modern, child-friendly garden and provide screening from overlooking houses. 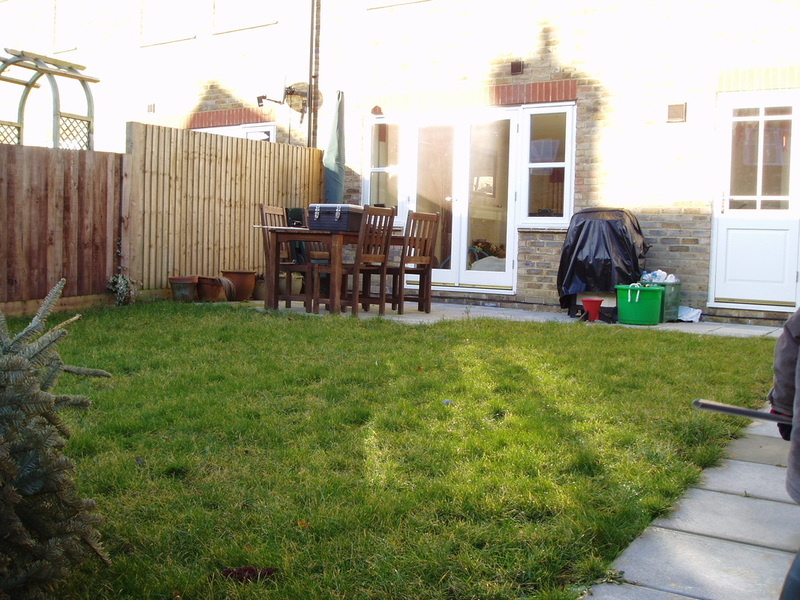 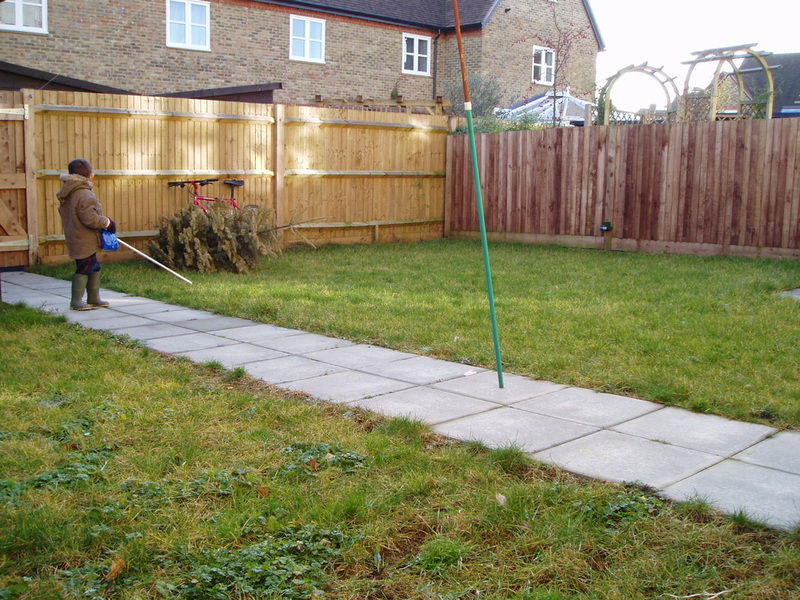 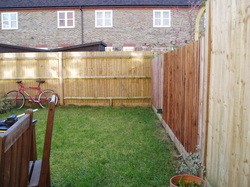 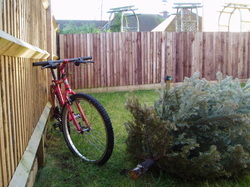 Also to include an area for bins, two seating areas (one shady and one sunny) and a screen to hide the shed. 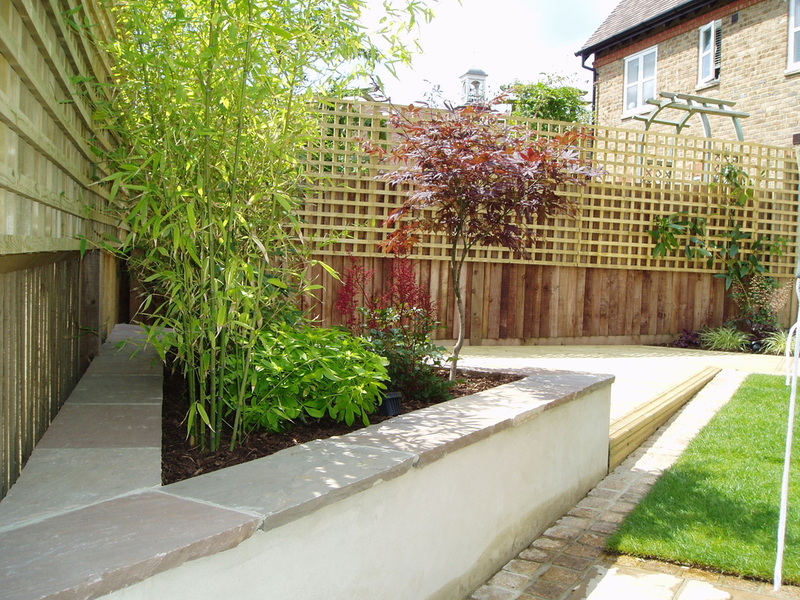 Plants needed to be low maintenance and provide interest all year round.